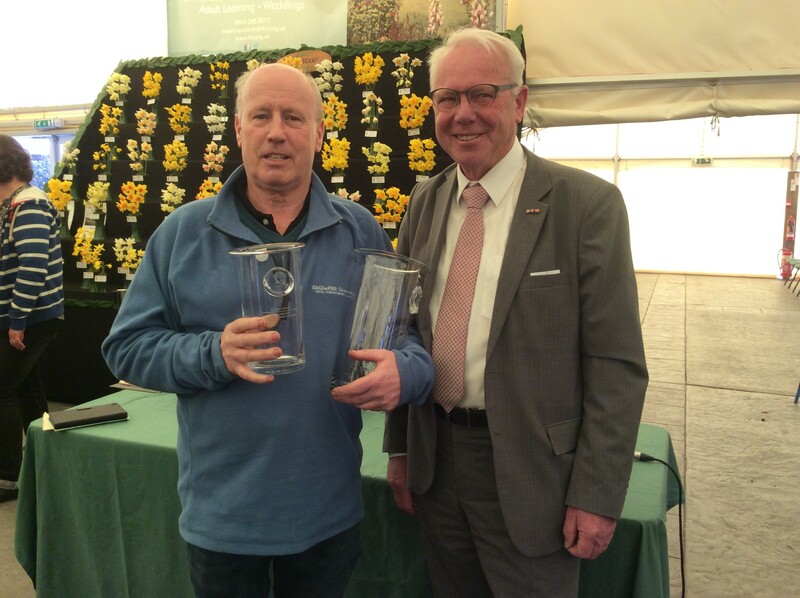 Richard Gillings has great success at the shows and grows the most beautiful daffodil blooms. He feels the key to his success is to focus on specific achievements and select and grow bulbs that give him the best chance of creating a quality exhibit of good form, balance and colour, throughout the season. The Society’s List of cultivars suitable for restricted classes is maintained in order to provide Members with a range of show quality cultivars at a fair price (in the region of £3 and under). Some daffodil shows have restricted classes in which only these listed cultivars can be shown thereby creating a level playing field for all participants. Read how Richard includes a number of the cultivars, from this list, in his winning selection of bulbs here.